This 815pc ‘Selecta Case’ is an excellent kit, including 12 popular sizes (from 3.5×16 to 5.0×70) packed neatly into a durable carry case, giving you a perfect opportunity to put Optimaxx to the test. Optimaxx design and manufacture a premium range of Extreme Performance Woodscrews that are highly regarded by joiners, kitchen fitters and tradesmen across the UK. Optimaxx woodscrews are designed to outperform established leading brands, providing unique features that offer genuine application benefits. 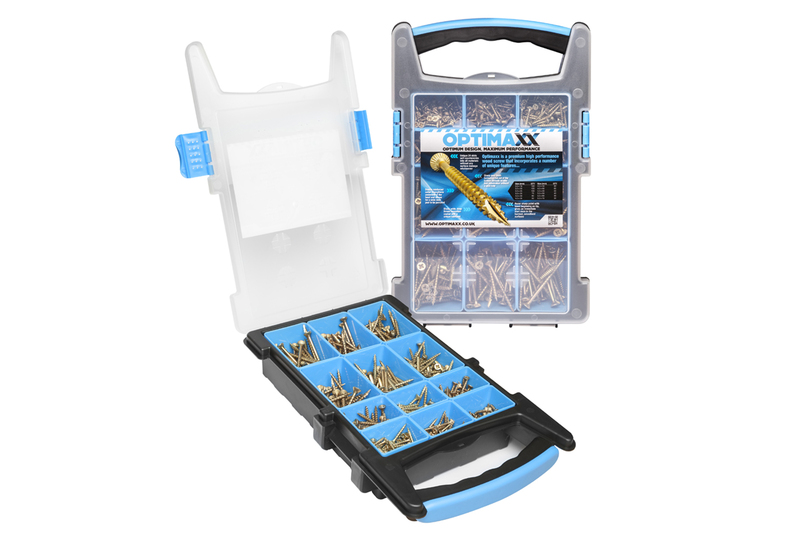 The common theme with Optimaxx woodscrews is that once you’ve tried them, you’ll not want to go back to anything else!